Displaying customer reviews will increase your reputation and conversion rates, resulting in more sales. Customer reviews act as a powerful incentive when choosing where to buy from or which company to use. Prominently displaying these on your site is extremely important and can transform your conversion rate if applied correctly. Not all websites have a facility to manage customer reviews which often prevents owners from thinking this is possible without incurring big expenses. This is not true. 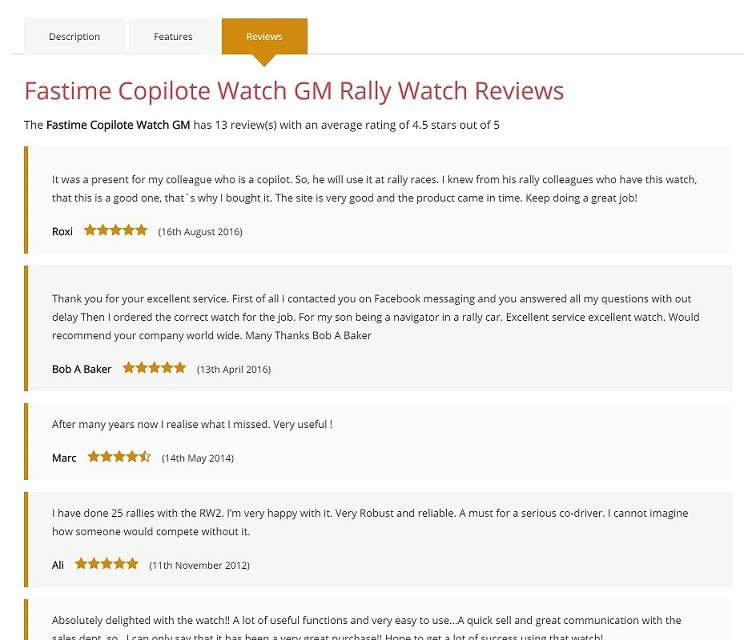 Our provide customer review systems are designed to work with all sites; enabling you to effectively use your great feedback to generate more sales. Display reviews throughout your site in places that will capture customer attention and result in conversions. Displaying customer reviews on your site, no matter how it’s built, could be as simple as pasting a small snippet of HTML code. This will then be smart enough to showcase the relevant reviews which are designed to suit your site’s style and design. It really is as simple as that. We can provide additional management tools so you can manage, review, edit or delete which reviews are displayed and their order so you can customise exactly what you want to show. This system is appropriate for sites of all kinds, including eCommerce, service providers, brands, etc. Our system will display reviews that are coded optimally to display stars in search results and enhance SEO. Not only is adding reviews to your site as simple as copying a little snippet of code, but all the reviews will display in manner that will enhance your SEO. Rich snippets are included to ensure your reviews display within the search results with stars; ensuring your listings pop out against the competition. Review content can be picked up by search engines which love authoritative and helpful user generated content. This will help separate you from the competition and enhance your positions in search. If you have any questions then please feel free to get in touch with us, you can do this using the contact form below.